You are here: Home / 2015 / January / 10 / Crockett’s Victory Garden: Who is Jim Crockett? Only humans garden and write books. You may “[insert chimp with a typewriter joke here]” and you can argue until you are blue in the face about the extraordinary intelligence of Pan bonobo but nothing will change the fact that only humans garden and only humans write books. When you add a book to your library you intend for it to serve a purpose– to enrich your life, to answer your questions, or to look pretty on your table. Books “may be ornaments, tools, or friends” as the Guide to Daily Reading (1917) tells us. But they offer to us something more than their words. Each invites us to meet its author– a human being whose life experiences led him to write those words about that subject at a time and in a place. 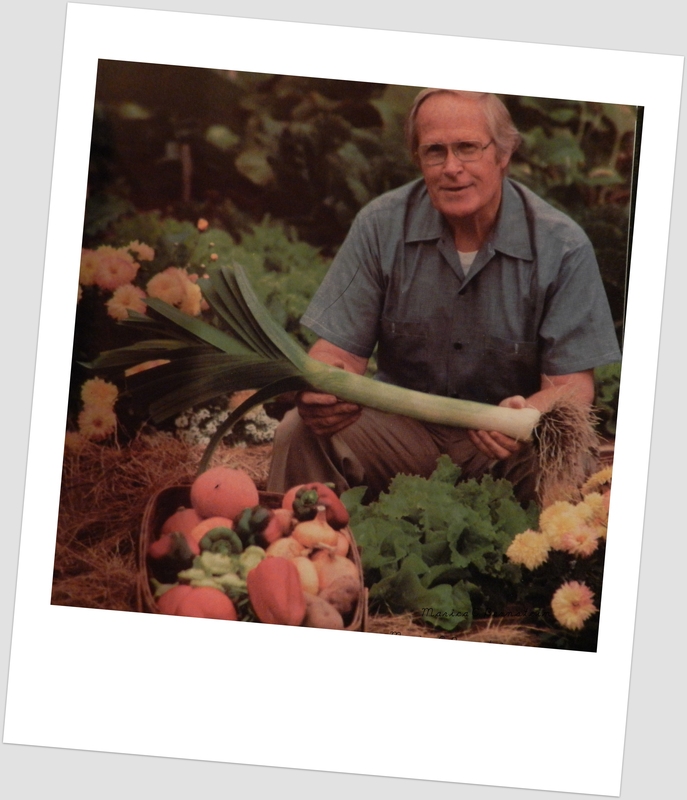 Who was Jim Crockett, host of a late-’70s PBS series and author of gardening books? After all, I am a writer and a gardener, and both of these occupations are usually pursued in private, alone at a typewriter or pulling weeds in the garden. … I nearly panicked on an early show, and I wondered how I ever allowed myself to be put in such a position. Jim Crockett was a writer and a gardener. Crockett’s Victory Garden. James Underwood Crockett. Little/Brown and Company, Boston. 1977. I have this not so secret desire to have a victory garden on my balcony. Unfortunately, the light situation out there is less than ideal. Any ideas what kinds of edibles I could grow in pots on a covered North facing balcony? PS I used to love watching The Victory Garden! When we lived in LA and we rode the bus a lot, they would play P Allen Smith segments about plants and gardening that kinda sorta reminded me of Jim Crockett. I would think you could certainly grow all sorts of salad greens and lettuces. I also wouldn’t be surprised if you could grow your own ginger– and that you might be able to grow under your lights inside. I think you could probably grow most edibles that aren’t fruits, e.g., that don’t need bright light to flower / ripen.